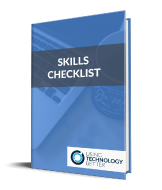 Keeping track of emails can be tricky – when an email is out of sight it is also often out of mind. 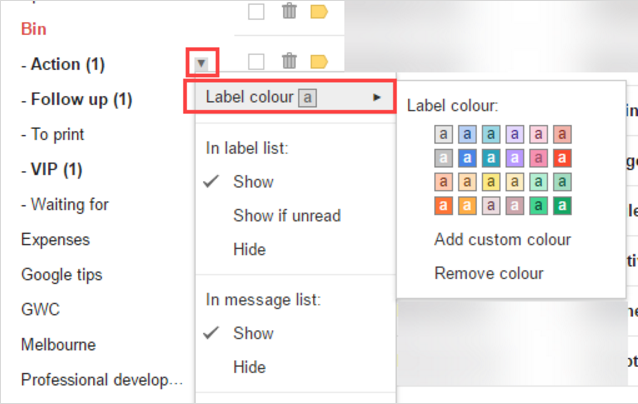 Creating custom coloured labels to flag your messages is a great method for keeping track of emails you need to action or have delegated. In this blog post, I’ll show you how to implement a custom label solution to suit your needs. Before getting started creating labels for tagging, plan the names that will work for you. 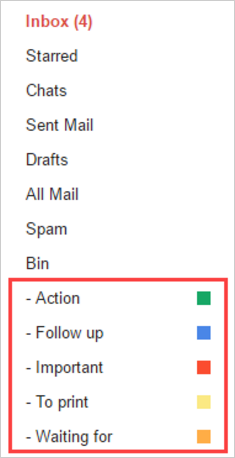 Common tags include ‘Follow up’, ‘Action’, ‘Action now’, ‘Waiting’, ‘To read’, ‘To read’, ‘To call’ etc. Create each label following the steps below. 1. Click the Settings cog > Settings. 2. Select the Labels tab. 3. Click the Create new label button (at the top of the Labels sub-section). 4. 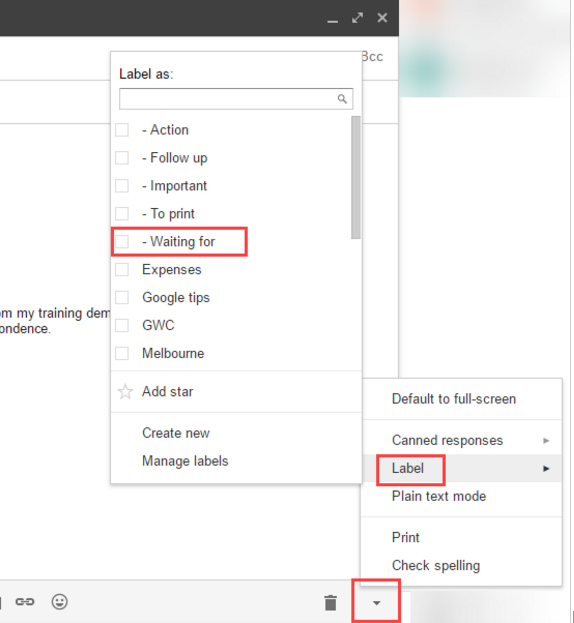 Give your label a name and click Create. 1. 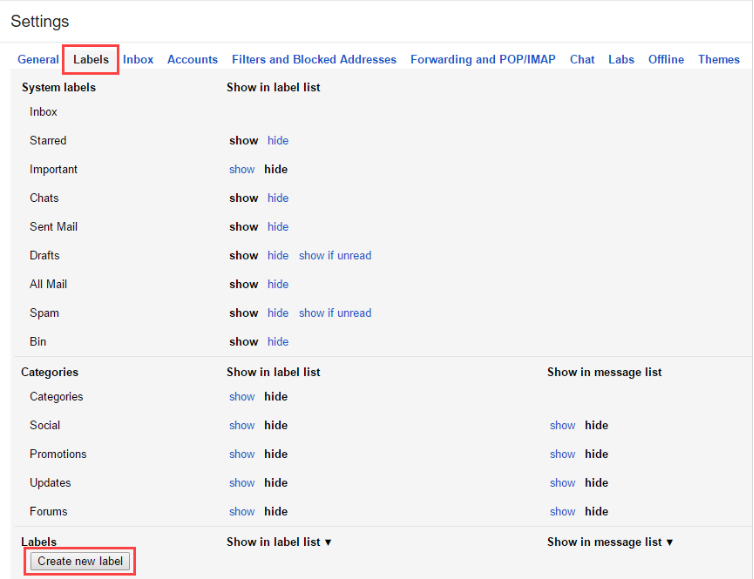 Hover over the name of the label in the label list. 2. Click on the arrow that appears to the right of the label name. 3. Hover over label colour and then select a colour. 1. 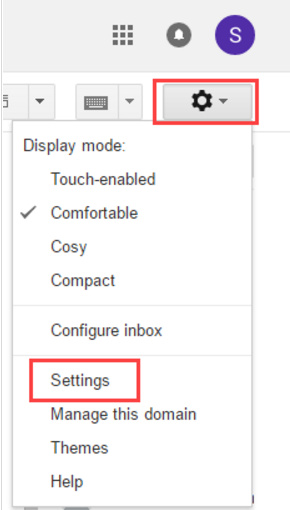 Opening or selecting (ticking) the email. 2. Clicking the Label button and choosing the appropriate label from the list. 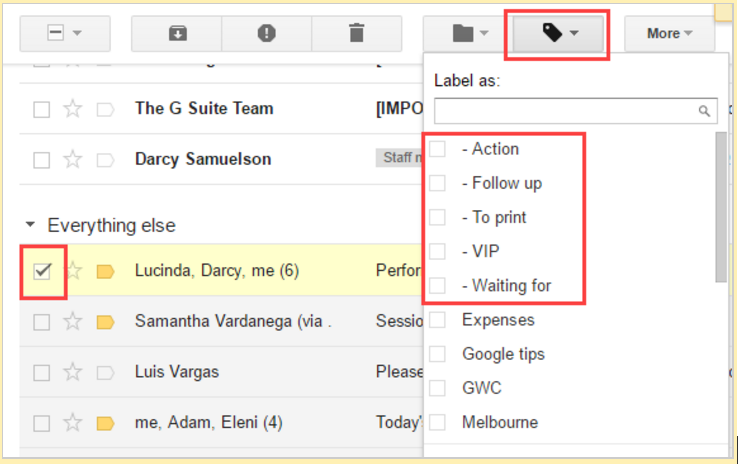 Click on the label name in the label list to view all the emails with that tag in the one place. This is really useful to quickly see at glance things you need to follow up on or are waiting for. It is good practice to review all of your tagging labels each day. 2. Before sending, select the arrow on the right of the compose window. Select Label and then pick the label you want to apply to the email. Note: The recipient of the email does not see the label. 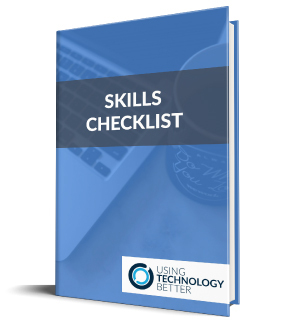 Tired of opening your inbox and being overwhelmed by a seemingly never ending list of emails? Frustrated with trying to keep your inbox organised and find what you’re looking for amongst the chaos? Our Get efficient with Gmail the SMART way online course can help you take back control of your Gmail inbox for good!